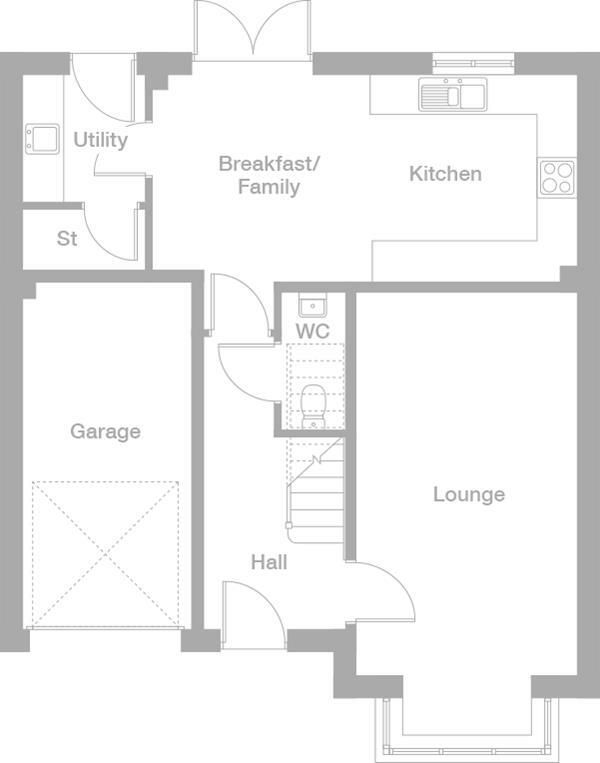 The large lounge features a bay window & the open plan kitchen/family/dining room is perfect for entertaining with additional space in the utility. You also benefit from french doors out to your garden. 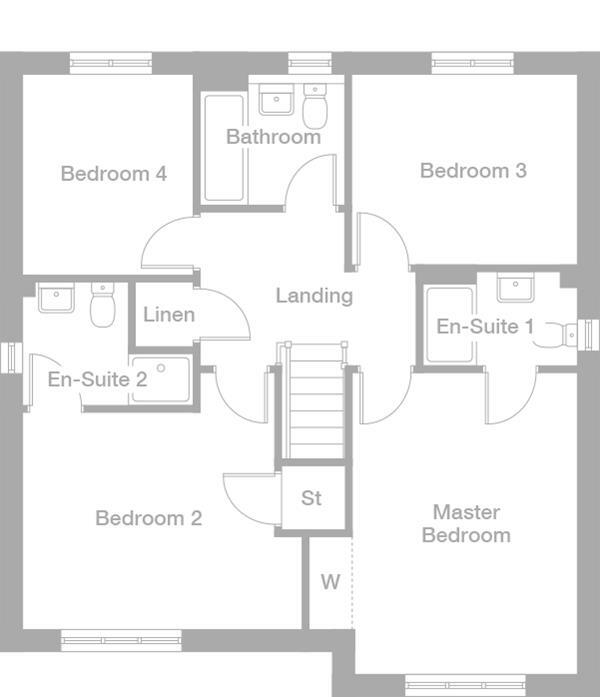 The master bedroom & bedroom two has an en suite ideal for family living or overnight guests. 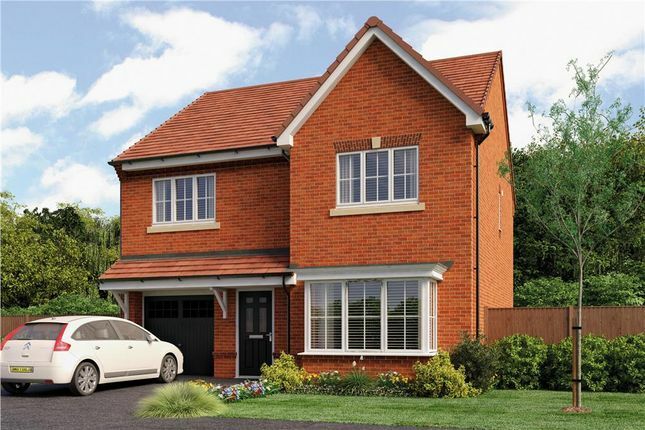 This is a fantastic flexible home is available to buy with Help to Buy meaning you may only need a 5% deposit. When you leave the car at home and explore the local area by foot or bicycle you get to know it so much better. And by using local shops and services you'll help to keep the neighbourhood vibrant and prosperous. Every place has its own personality and once you move in you'll soon find your favourite walks and the shops you like best. As a starting point this map shows the most useful features and services within a short stroll or bike ride of Heritage Green. Heritage Green has outstanding transport links it is just five minutes walk from Northumberland Park Metro Station with frequent fast services running in one direction to Newcastle Central Station, Gateshead, Jarrow and South Shields, and in the other to Whitley Bay, Tynemouth, North Shields and St James Station. The A19 half a mile away brings easy access to the A1 and buses connecting Newcastle City Centre with Whitley Bay pass within 650 yards of the development. Tyneside's celebrated museums, galleries and live entertainment venues can be easily reached by public transport from Heritage Green. The Pavillion Bar and Grill is situated on the edge of Heritage Green and other bars and restaurants within around half a mile include a Toby Carvery and the Holy Stone Bar and Restaurant. The nearby Backworth Miners Welfare hosts archery, cricket and bowls clubs as well as a ten-hole golf course and leisure and sporting facilities in the wider area include an ice rink at Whitley Bay. The Rising Sun Countryside Centre a 400 acre green space around a mile from the development features a lake with a rich diversity of wild life and offers excellent opportunities for walking and cycling. Five minutes walk from Heritage Green Northumberland Park District Centre includes a Sainsbury's supermarket a pharmacist a butcher and a fish shop as well as a hairdresser's and other services. Additional retailers within a mile of the development include a post office in West Allotment and a small traditional local shopping area in Shiremoor with a post office and a convenience store, hairdressers and food takeaways. Recycling receptacles for glass, metal cans and paper can be found at the Asda store in Whitley Road less than a mile and half from Heritage Green. There is a very good choice of schools in the area Holystone, Shiremoor and Backworth Park primaries are all within a mile of Heritage Green, and secondary schools in the area include George Stephenson High rated as outstanding by Ofsted in 2012. Three medical practices including the Northumberland Park Medical Group are based in Shiremoor Resource Centre fifteen minutes walk from the development and there is a dental surgery close to the Resource Centre. The North Tyneside General Hospital which has a 24 hour urgent care walk-in service, is just two and a half miles away. Open Thursday to Sunday, 10.30am until 17.30pm. Open Monday 12.30pm until 17. 30pm . Closed Tuesday and Wednesday. Property descriptions and related information displayed on this page, with the exclusion of Running Costs data, are marketing materials provided by Miller Homes - Heritage Green, and do not constitute property particulars. Please contact Miller Homes - Heritage Green for full details and further information. The Running Costs data displayed on this page are provided by PrimeLocation to give an indication of potential running costs based on various data sources. PrimeLocation does not warrant or accept any responsibility for the accuracy or completeness of the property descriptions, related information or Running Costs data provided here.